Click the button below to add the REX-62 Connector Board - EBDCN02-0003 to your wish list. 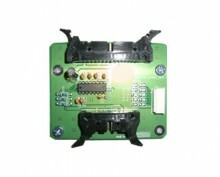 This Connector Board is suitable for DGI REX-62 printers. This is the original DGI part (number EBDCN02-0003 replacing number 1351016). This board is used to connect and transfer data from LCD to the main board.